ALL are equal before law and are entitled to equal protection of law' said in the constitution. Legal process, nevertheless involves spending at different stages of court procedure and it is really difficult for poor people from disadvantaged communities to spend personal resources for a considerable period to seek justice. There are instances where victims decided to withdraw cases against powerful opponent because financial burden proved too heavy for them. It is true that there is a provision of legal aid for the poor and disadvantaged in the country, oppressed are simply unaware of it. It was reported in The Prothom Alo on May 13, 2010 that there is a significant amount of legal aid money unspent in Manikganj. An amount of Tk 774,000 was spent to provide legal assistance against a deposited sum of Tk 1107,000 until the year 2010. The fund remains unspent, as there had not been sufficient applications requesting support for legal aid. Although information is not readily available for all the district legal aid funds, there are unspent fund in other places too. On the one hand, there is unspent money in the district legal aid due to limited number of applications. On the other hand, vulnerability of the victims from disadvantaged community further increases as they often struggle to pay for the costs involved with the legal procedures. Legal Aid Act (Act VI of 2000) was enacted to help facilitating access to justice for poor people. The law provides for giving legal aid to poor people to institute or defend cases in courts. Legal Aid Committees headed by the respective District Judges have been constituted with government officer, lawyer and representatives from voluntary and woman organizations in each district. A statutory body called National Legal Aid Organization has been established and there is a national board of directors consisting of 19 members. This body is headed by the minister of the Ministry of Law, Justice and Parliamentary Affairs as chairman. The board also has the authority to consider application already rejected by the District Legal Aid Committee. Formation of District Legal Aid Committee has been described in the Section 9 of Legal Aid Act. While District Judge is the chair of the committee, government officials and other actors of justice work as members. The chair could nominate a member from voluntary organization. Nominated members function for 2 years providing that their nomination remains valid for the period. Sources of funds and operation procedure of the fund have been described in Section 14 of the act. District Legal Aid Committee could accept contribution from both the person and the organisation. Chair (District Judge) and Secretary (Secretary of the District Bar Association) jointly operate the bank account of District Legal Aid Fund as enshrined in the act. Apart from the government fund, there are also separate funds managed by different non-government legal aid service providers. Although a system of 'Shalis' exists in the country for a long period, the process has largely failed to ensure justice for the poor and disadvantaged. Let alone victims from marginalised communities, views of the women are seldom heard during mediation or arbitration process. Proceedings are mostly dominated by influential males and they hardly follow the procedures of mediation. Village Courts Act (Act XIX of 2006) provides an opportunity for the spontaneous flourishing of dispute resolution at the grassroots, village courts are yet to be established in the localities. Physically handicapped, Ethnic, cultural and religious minority groups and culturally bound occupational groups have to rely on formal justice system and the time and cost involved with process add to their miseries. To recapitulate, there should be a central monitoring system in order to ensure best use of the legal aid fund. Many of the victims from disadvantaged communities are simply unaware of the existence of such a fund and there is no mechanism in place to make people aware on the process of getting aid from the existing legal fund. A nationwide campaign involving NGOs and government departments would be helpful in raising awareness on the legal aid. 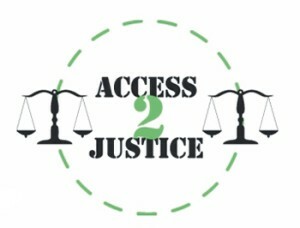 Immediate but lasting steps also need to be taken in order to facilitate access to justice for the poor victims through utilization of legal aid fund. Oli Md. Abdullah Chowdhury is a human rights worker.